Sephora continues to pioneer digital innovations with an exciting new shopping experience, opening the first connected beauty store. Sephora Flash is a disruptive concept that blends beauty and technology. From the introduction of self-service in beauty and cosmetics stores to its Click & Collect service, Sephora has continually innovated to take the customer experience to new levels. The groundbreaking Sephora Flash store concept introduces a new breed of ultra-connected boutiques that will progressively be rolled out around the world. The first of these revolutionary boutiques recently opened at 66, rue de Rivoli in Paris. The 100-square-meter store (compared with the average 400 sq. meters for the brand’s boutiques) offers an unprecedented bridging of physical and digital shopping channels. 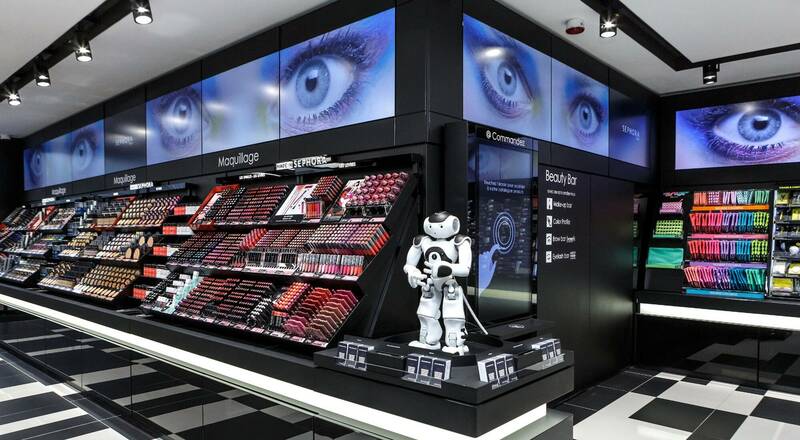 A selection of best-selling makeup and cosmetics products is proposed directly in the store, alongside a digital catalogue of more than 14,000 products from 150 brands. If a product is not in stock, customers can supplement their physical shopping basket by adding it to their digital basket, represented by a digital tag. There are also tablets for discovery of premium perfumes, from classics to niche fragrances such as Serge Lutens, Tom Ford or Atelier Cologne. 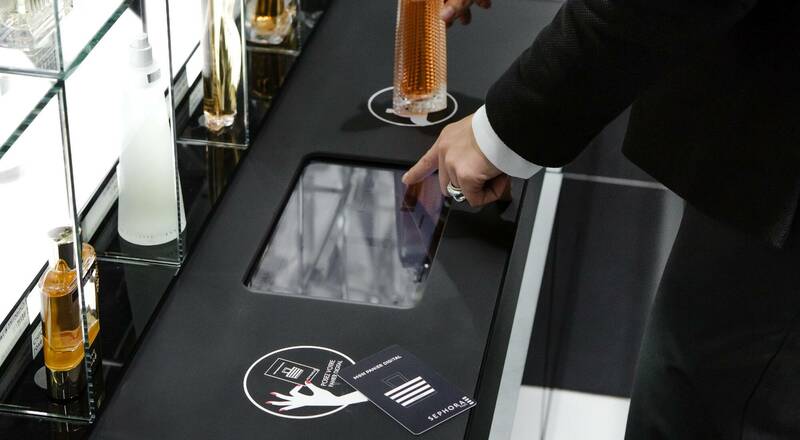 Perfume testers with an NFC (Near Field Communication) tag provide shoppers with a multitude of information on the fragrance by simply placing the tester on the connected screen. They can then instantly add it to their digital basket. Both physical and digital purchases are paid for at the checkout counter in a single action. Plus, customers can choose to have items purchased online delivered to their home or pick them up at the Sephora Flash store. In addition to popular Sephora services like the Make Up Bar or Benefit Brow Bar, customers can have fun at the Flash Bar, equipped with a large selfie mirror, a mobile phone charger and a Mini Beautic, the smart sampler developed inhouse by the brand’s Sephora Lab. Open since October 21st, the Sephora Flash boutique has already proved a huge success among Sephora fans!